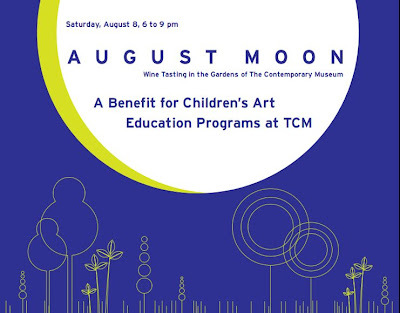 August Moon at The Contemporary Museum this Saturday is a benefit for the museum's children's education programs. I have no documentation of my stuff other than what pictures Mike took. I could post his picture of Devil Dinosaur. that's pretty insane. Oh my god! Denise! How are you! Long time no see/hear!